My last article starts to explore the subject of retirement investing, but it barely scratched the surface of the subject. Today I want to show you how to make investing less complicated. Yes, getting educated on all of your options is important. I highly recommend you do take the time to learn more about investing. But I also highly recommend you start investing immediately — even if just a little bit at a time today. The best way to avoid analysis paralysis – you know, that thing that happens when you go to buy jelly at the grocery store and there are 30 different brands, and you freeze for 5 minutes – is to automatically invest. When you set up automatic investment you remove your emotions, fears, habits, and forgetfulness from the equation. There’s no thinking involved when the money never hits your bank account — it goes straight to your investment account. If you have a 401(k) at work and participating, you are already doing this. No one calls you each time you get paid and asks you what mutual funds you want to invest in that week. No, your account is setup to automatically deduct some percentage of your paycheck and invest it to whatever choices you made when you started. Contact your HR department to see how you can get started. Allocate a percentage of your paycheck as contributions to your 401(k) plan. At the minimum, you should contribute enough to get the full company matching contribution (your HR department can also tell you what percentage this is). If you can afford to contribution more, check this maximum 401(k) contribution limit chart to determine the percentage. Now you have to decide what investments you’ll be buying as money is added to your plan. If you don’t know anything about investing, a safe bet is to put 100% toward a Target Retirement Fund. Otherwise, learn more about asset allocation and select your investments accordingly. Monitor your paycheck and 401(k) to make sure everything goes according to plan. The best part is, no matter what account you have: 401(k), Roth 401(k), Roth IRA, 403(b)…all of them have automatic investment options. For IRAs, you won’t always be able to deduct it straight from your paycheck, but you will have the opportunity to automatically take it out of your bank account. Ask you bank or broker about Automatic Investment Plan (AIP) and you should be able to set up something similar to your 401(k) plan. If you need help with this, just call customer service. They’ll be glad to take your money automatically! Another great thing to use automation for is saving up for financial goals. It can seem daunting to save up 6 months of expenses into an emergency fund. But if you break that huge goal into a monthly amount over a set period of time, it can be a lot easier to manage. Ask your employer if they offers direct deposit (it’s better if you can deposit directly to your account without doing anything). Deposit your paycheck into your checking account (either direct deposit or manually). Automatically transfer some amount per paycheck from your checking to your savings account. If you have Capital One 360 you can set up multiple subaccounts (one for each goal) and automatically move your money around. Plus, you won’t have to think about saving for your goal… it will just happen automatically. That’s the beauty of automation. Start contributing to your 401(k), even if it is a small amount like $20 per month. You can raise the amount you invest over time. Do the same for your other investment goals. Most online banks like Capital One 360 will let you set up automatic transfers from another account. Use this tool to save up for future goals without having to worry about remembering to transfer the funds. I’d love to hear about some success you’ve had with automating your investments and your savings. Jonathan, the big advantage of automation is that it puts the “pay yourself first” concept in motion. When you think about it if you use it for saving why not for investing too? True, if you investing is picking stocks or more “exotic” investments then it probably will not work. But if you are just investing by putting your money into a broad mutual fund then automation helps. Believe me, I have built a large portofolio over the last 10 years solely due to automatic investments. Great article, but automatic investment has it’s pitfalls too. Personally I think that making the decision yourself rather than automating is better as you have more control. However I can see some benefit to this. I usually encourage people to automate savings not investments, but it’s a very thought provoking article and perhaps I should give this a little more thought myself. Like all of you I have also been doing this with both savings and investment for a long time. However recently I switched from mutual funds to ETFs and I find it hard to do fully automated purchases of ETF’s because ETF’s are like stocks and you have to manually make a purchase (I use Vanguard). Has anyone found a way to purchase ETF’s automatically? This is a good idea. 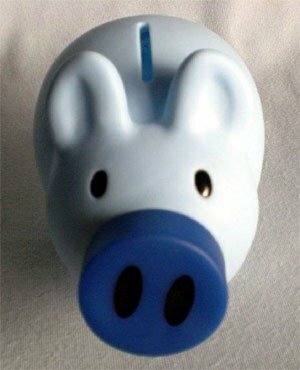 We have a separate savings account where our utilities and bills are automatically deducted. ; however, automating our investment never occurred to us. I think I will discuss this idea to my husband. I know he will agree with me. Thanks for the information! When we bought this house, we decided to pay our own taxes and insurance instead escrowing it. We did the math on how much we would need at the end of the year and divided that by 12. That amount automatically goes into a savings account each month. Now that our son is no longer living at home, we don’t have to pay for his insurance. That means that amount every month is just savings. It just grows and grows year after year. Like @krantscents said: “I have been doing this for many years.” Automation works because it requires unconscious effort. The less we have to manually transfer money, the less we feel the pain of losing it. I have been doing this for many years. It keeps it very simple and you dollar cost average into the market.